As promised, below is my exclusive interview with Tory! Not only will Tory give you the inside scoop, but she’ll also share her #1 tip to increasing your profits now! Hang on to the end as we mention a time-sensitive offer just for you! What people are saying about this year’s tour so far..
PROFIT NOW exercises. Pen to paper with calculator in hand = how are you going to make money RIGHT NOW! This private event will be held in Bellevue at a later date. Re-connect, collaborate and further your relationships with this fun private happy hour event! . You must purchase your ticket before March 30th, use the code “SEATTLEROCKS” and email me your receipt to Devani@DevaniFreeman.com to receive ALL three bonuses! Don’t forget you MUST take action before April 3, 2013 to receive your bonuses! 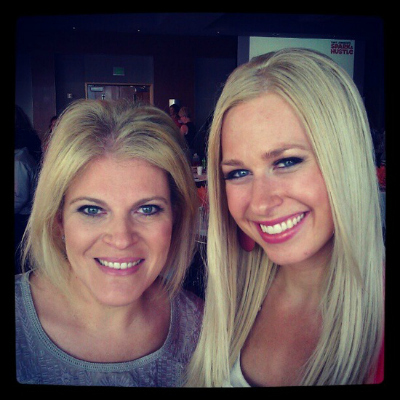 Tory and I at last years Spark & Hustle event! P.S. If you don’t live in Seattle, find a location near you and still get in on the bonuses!